A/B testing, or split testing, is a way to determine which design, content, or functionality performs best for your business. These small changes won’t produce massive gains overnight, but each improvement adds up over time. While it’s not apparent to everyday users, A/B and multivariate testing has become so ubiquitous that most people visiting Google or Amazon are likely seeing an experiment rather than the current standard. The key to successful A/B testing is identifying the most impactful elements to test and optimize. In this article, we will look at some A/B tests that we’ve found to be among the most impactful a business can run. A/B testing is a science just as much as it is an art. While determining what to test is important (and the topic of the rest of this article), it’s equally important to know how to test in order to ensure that you are getting accurate insights. Google Optimize is one of the best free A/B testing tools, but there are many other options available for a fee. For example, Optimizely is a very popular paid option, and new AI-powered A/B testing services are emerging, such as Sentient ASCEND. Limit Changes – The most important rule for A/B testing is to only test one element at a time. That way, you’ll know for sure if that element is making the difference rather than trying to decipher the impact of multiple changes. Sample Size – Ensure that you’re performing the test on enough visitors (consider using a sample size calculator to confirm) and be sure to look at conversion rates rather than totals, especially if sample sizes are different for each variant. Hands Off – It’s tempting to prematurely jump to conclusions if early results are favorable, but it’s important to let tests run for the entire duration. That way, you’ll have the most reliable conversion data. Nearly half of online shoppers (47 percent) will only purchase discounted products, except under exceptional circumstances, according to an E-tailing Group study. The same study found that the majority of shoppers (62 percent) look for a section that identifies deals and specials. This section could appear on the homepage or a separate page that’s linked in a navigation menu. Try experimenting with different placements for deals and specials on the homepage and in navigation menus to find what works best. 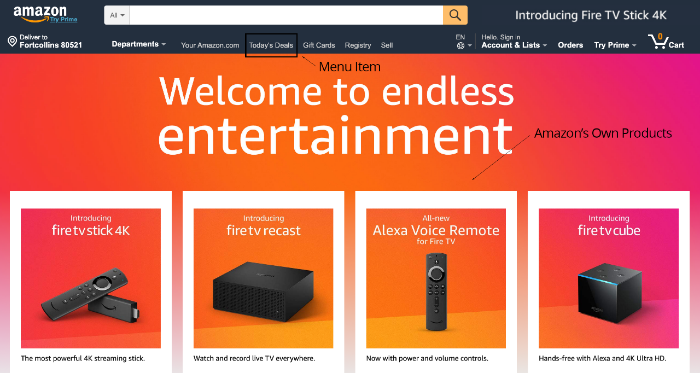 For example, Amazon.com shows online shoppers daily sitewide deals in a horizontal slider on its homepage, and has a menu item called “Today’s Deals” that can be accessed from any page (for visitors that don’t hit the homepage). You can also experiment to find specific products or categories that perform best within these sections or pages. For example, you might feature loss leaders that are associated with higher total order values or repeat purchases over time. Or, you could feature products that customers are more likely to purchase in order to maximize the revenue from those placements. About 70 percent of visitors abandon their cart when shopping online, according to the Baymard Institute’s average of 40 different studies. You can re-engage these customers by retargeting ads on Facebook or Google, but you might not have enough time to reach them before they make a purchase elsewhere. If you have a low number of email signups per shopping cart session, you can test if requiring an email address before checkout will increase email sign ups. If you have a high shopping cart abandonment rate and want to see if there’s really two types of users (shoppers and wish list users), you can experiment with adding a wish list to differentiate between the two types of users. Determining how customers actually use your site is critical for figuring out how to improve the experience in the future. Online shoppers should never have to look for an “Add to Cart” button—it’s the single most important button on your website. Even still, many eCommerce businesses have small “Add to Cart” buttons that are either below the fold or don’t stand out, which can make it difficult for some customers to find them. Try experimenting with ways to make these buttons more prominent. For example, you can change the color to make them contrast more with the rest of the website, make them larger in size, position them closer to the top of the page, or change the text to make it clearer or bolder. You might be surprised at how effective these small changes are at improving conversion rates. You can also experiment with other style elements on product detail pages. In particular, you can look for ways to prominently feature elements that help address common customer concerns, such as the cost of shipping, delivery timeline, or a money-back guarantee, if applicable. Personalized product recommendations drive just seven percent of visits but 26 percent of revenue, according to Demandware. Purchases where a recommendation was clicked also had a ten percent higher average order value, while the per-visit spend of a shopper that clicked a recommendation was five times higher. Try experimenting with the placement of recommended products on product detail pages to take advantage of these dynamics. For example, Amazon places recommended products just below the basic product information and above the product description, product reviews, and other important details. This goes to show just how important recommendations have become! Product list ordering is one of the most under-appreciated ways to boost conversion rates. For example, our customers have achieved a 40 percent increase in conversion rates, 56 percent increase in per-session value, and a 70 percent increase in revenue by optimizing the order products appear in categories, search results, and other pages. By A/B testing different product positions on these pages, you’ll see the the massive impact product order has on conversion. For the best results, Avatria Convert leverages your existing Google Analytics Enhanced Ecommerce data to derive insights on the best performing products. It’s not always as obvious as looking at top-line sales! We’ll even help you run an A/B test to see how effective Convert can be. A/B testing is a great way to incrementally improve your business’ performance over time. 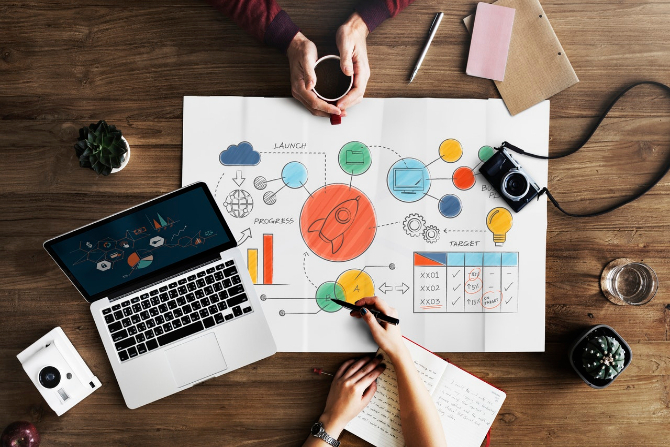 There are thousands of different improvements that you could test and optimize, but it’s important to prioritize those with the greatest potential benefits to maximize your time and money. If you’re interested in trying Avatria Convert to optimize your product lists, you can start your free trial to get started today.